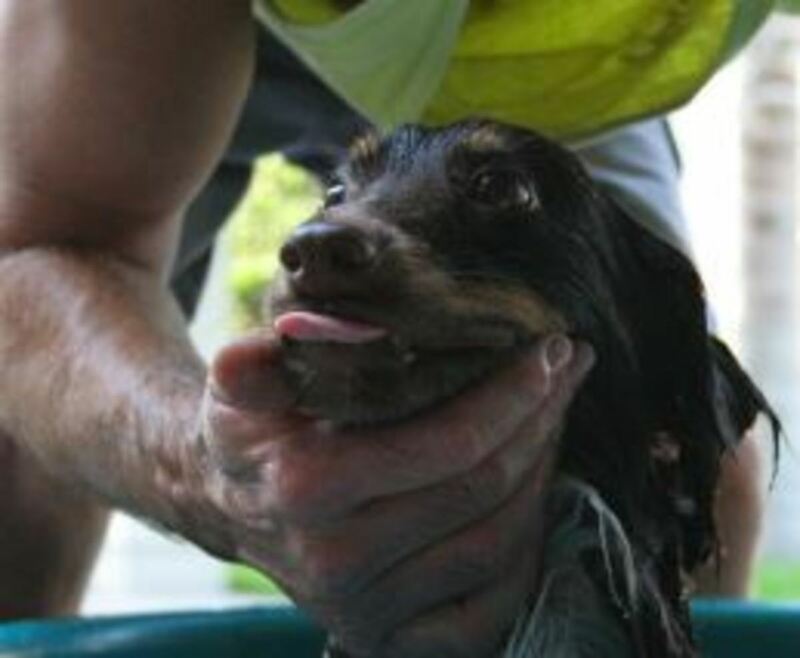 Does your dog hate bath-time and hides under the bed the moment he sees you turn the faucet on and grab the towels? If so, rest assured, you are not alone. Countless dogs dread bath time and if we put ourselves in Rover’s shoes we can see that his fear isn’t irrational at all. While we perceive bath-time as a way to relax and smell good, for dogs things can be quite different. So today, we’ll be discovering several reasons as to why dogs hate baths, and the dog’s owners approach is often to blame. There is a reason why breeders, trainers and many books discuss the importance of early socialization in puppies. During a brief sensitive period known as “puppy socialization” puppies are exposed to a variety of stimuli that they will experience throughout their lives so they can accept them and adapt. However, water and rain seems to often be an overlooked stimulus that dog owners often miss. We tend to avoid puddles, avoid walking in the rain and when we get wet we make a big deal of it. Water and the process of getting wet should be made a fun and an enjoyable experience. Fail to do this, and you may end up paving the path for a water-phobic dog, simple due to fear of the unknown. 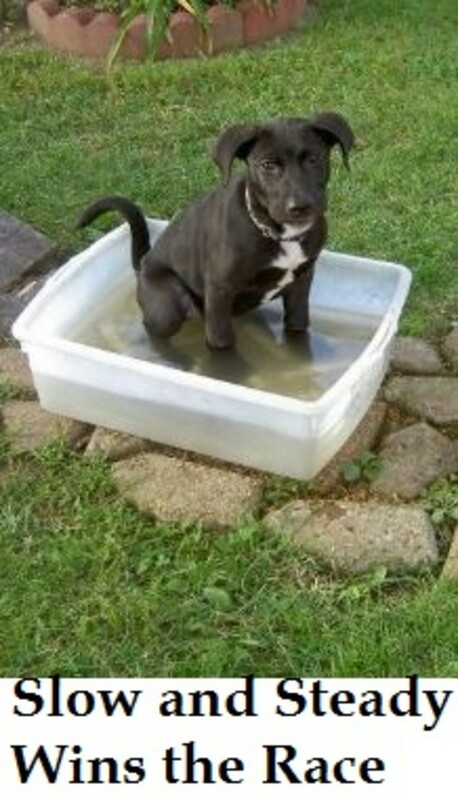 Puppies and dogs need to be exposed to water in a gradual, calm way so to accept it as normal part of life. Forcing the dog to be bathed may lead to cumulative fear and anxiety. Many owners get frustrated and restrain the dog so he has no escape and must endure the whole ordeal without giving them a chance to learn how fun and rewarding being in the water can be. How would you feel if you were fearful of the dentist and you had to be strapped up during the duration of the visit? This would likely only increase your fear. There are not may situations in life that are so rewarding as enticing a dog who is fearful of water to join you at the beach and start playing with waves or with a water hose. 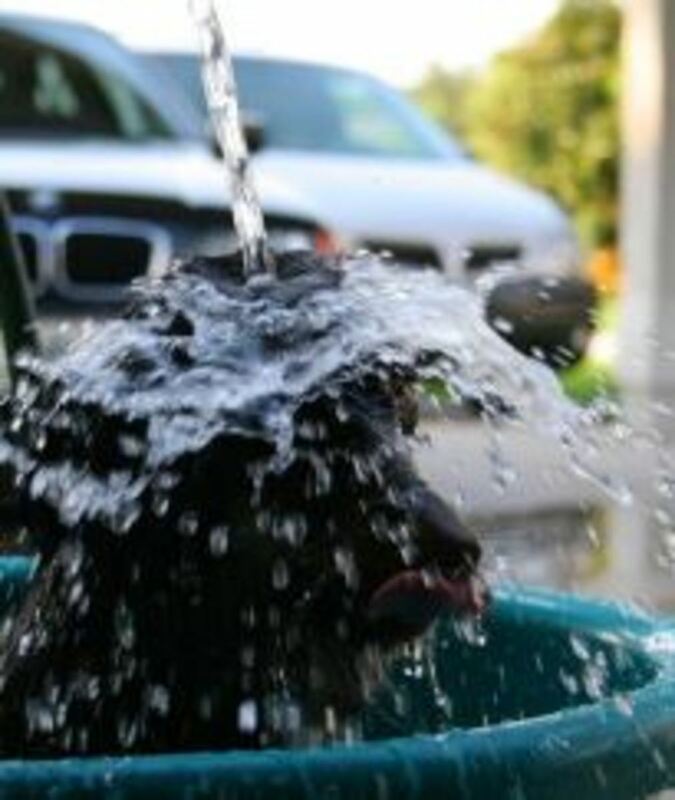 Another reason dogs may dread water, baths and getting wet in general is using water as punishment. Even though more and more dog trainers and owners are embracing positive, force-free methods for training their dogs, there are still some trainers or dog owners who may recommend squirting dogs with a water pistol to punish them. This often leads to dogs who dread water or getting wet as they associate it with getting startled and perhaps on top of that even their owner’s frustration or anger. Even playfully squirting dogs with water as kids may do when they want to involve Rover in their water games can be traumatic enough for the dog to not want to have anything to do with water in the future. Start early! If you get a puppy, start exposing him to water, bath time and rain from an early age making it a fun and rewarding experience. Toys, play and tasty treats introduced in the presence of water can help form positive associations. Clicker train your dog to target a puddle. Go gradual in the process. It’s best to arrange mock sessions to make baths fun so when the real need for a bath arises, you are not caught unprepared and your dog has already a history of pleasant experiences. When it rains lightly, grab that ball or your dog’s favorite fetch toy and engage him in a fun play session under the rain. Once back inside, dry your dog with a cloth and become boring. The rain should become a predictor of good things. Invest in fun water games made for dogs. Use only tear-less shampoo and invest in non-slip mats. 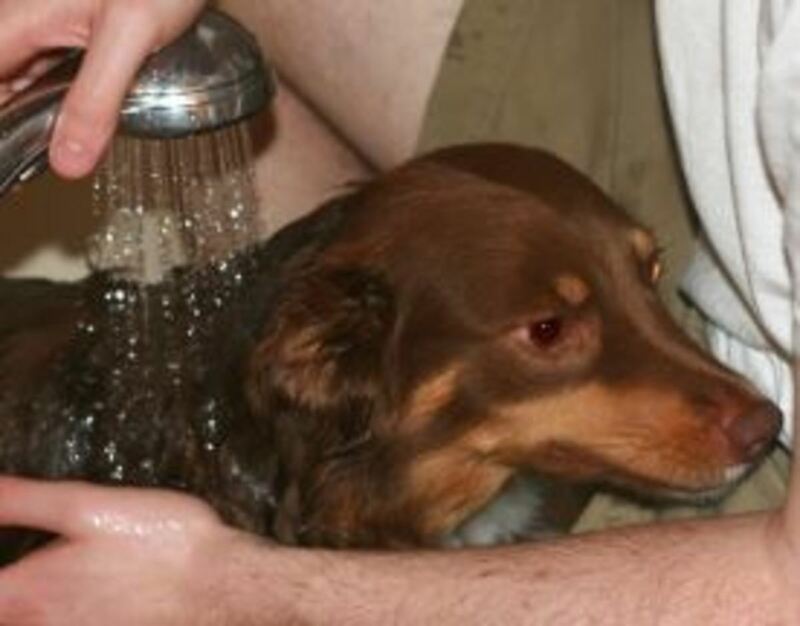 This may not be the best option for hygiene freaks, but some owners take a shower with their dogs to make it a pleasant experience. If your dog hates going into the bath tub, skip the bath tub and try with a light shower or go outdoors and use a hose. Portable steps may be an option for dogs who hate being lifted and put inside the bath tub. Get a water hose and start singing silly songs as you squirt the water in many directions and make it look like a fun game. Then, when your dog approaches, grab some treats and make it look as if the water hose is shooting treats out along with water. Afterward, slightly wet your dog with a spritz of water and give a treat right after the water spritz. Spritz, treat, spritz, treat, spritz, treat. At this point, your dog may be drenched in water. This is a good time to start rubbing in some tear-less shampoo for dogs. Resume the spritz-treat game until your dog’s coat is free of shampoo. Now it’s time to have fun rubbing and drying your pooch. To make it clear that bath-time and water is what brings on the fun, once you close the faucet and your dog is dry, make all the fun end. 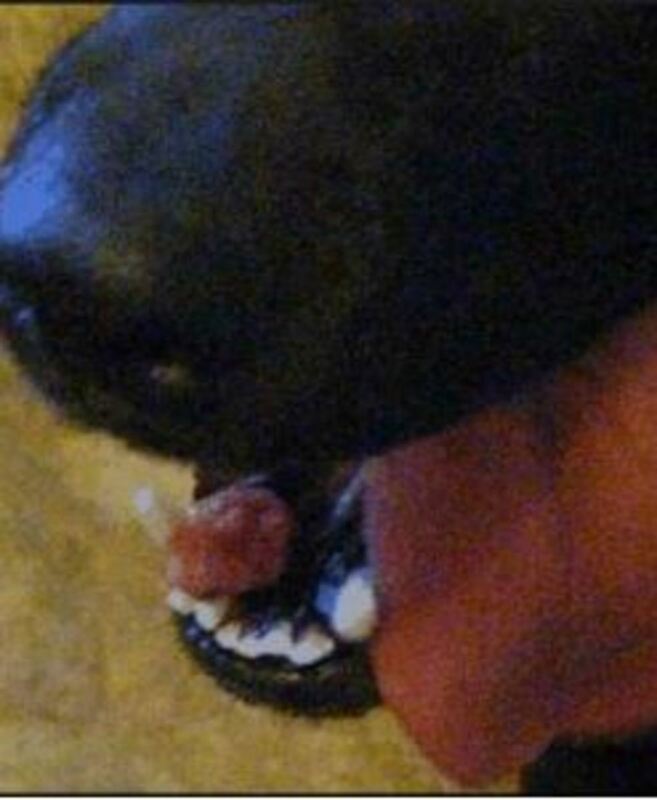 Is Your Dog Training Stuck in a Pattern Training Hole?